Getting in a car wreck, or having a work related injury occur, can be a very trying time in your life and cause an unnecessary amount of stress to you and your loved ones. Understandably, the occurrence of such a predicament can mean an endless array of thoughts, emotions, and worries will cross your mind. However, it’s important to remain as calm and aware as possible, during the entire phase, so as to avoid mistakes that can negatively affect you, your finances, and your claims should you decide to pursue legal actions. At Millin & Millin, PLLC our lawyers understand that every aspect of an injury needs to be thoroughly analyzed, and all medical treatments need to be fully obeyed. Ultimately though, it is the responsibility of the victim to make sure they strictly follow the guidelines recommended by their doctors so that they can effectively prove that they were injured in a particular accident. Follow the preceding tips to ensure that you DO NOT make mistakes that can be detrimental to your case. If you are injured in a motor vehicle accident, or another type of incident that has caused you harm, then it is essential that you do not ignore signs of pain, regardless of how “small” they may appear to be at the time. These initial signs can be indicative of a more serious injury and thus it is extremely important that you seek immediate medical attention. If you are involved in an auto accident then do not hesitate to ask for an ambulance to transport you to the hospital. Recognize that insurance companies and juries will not rule in your favor if it appears that you were not hurt badly enough to seek immediate medical attention. See a doctor immediately and do not allow your minor injuries to get worse. Be absolutely truthful when visiting the doctor and do not fail to mention any previous injuries or illnesses that occurred before the current situation. Supplying inaccurate information to the hospital can negatively impact the quality of care you receive and can also hurt your legal case. If you fail to provide the doctor with honest and complete information, then the defending attorneys can reject a physician’s medical opinion based on the insufficient information you provided. Do not allow a contradiction or flawed medical argument destroy your case. The medication prescribed to you and the accompanying medical instructions need to be followed until you doctor tells you otherwise. If you are uncomfortable with the particular medication prescribed, and are afraid that there may be some unwanted side effects, then mention this to your doctor to see if they can switch you to another drug that will be just as effective. Be aware though that side effects are not rare. Please make sure to follow the doctor’s orders as not choosing to do so can have a devastating effect on your claim. If you have suffered a debilitating injury that has affected your range of motion or ability to function normally, you need to seek medical treatment until you are healed or your physician claims there is nothing else that can be done to improve your condition. Continue to seek support for your pain and disability until you reach maximum medical improvement. If you stop receiving medical treatment then insurance companies can perceive that as you having healed. Even if there is a significant gap between treatments they may argue that you are seeking treatment for a new and unrelated injury. Make sure to be in continuous contact with your doctor to prove that you have consistently sought assistance. Once an injury claim has been made, insurance companies will receive your medical records. Skipping appointments, regardless if purposely or because of legitimate reasons, will look bad on your medical records and will make it appear is if you are not committed to getting better. Frequently skipping appointments can also irritate your doctor, and a frustrated physician doesn’t make for a good witness for their patient. If you must cancel, then be respectful and call in advance. Also, don’t forget to reschedule. During litigation, insurance companies and juries will review your records to note how soon, and often, you reported your pain. In order to effectively have your specific pains and limitations placed on the doctor’s charts, you need to be absolutely forthcoming about your injuries. Mention how they have impacted your everyday life activities and be sure to provide specific examples – like issues with negotiating stairs or kneeling to perform your job. Writing down this information and presenting it to your doctor can be an effective means to have them understand your needs better. Just make sure to keep a copy of what you provide the doctor and make sure your attorney gets one as well. It is vital that you maintain proper documentation of all doctor orders, treatment referrals, and/or work restrictions. 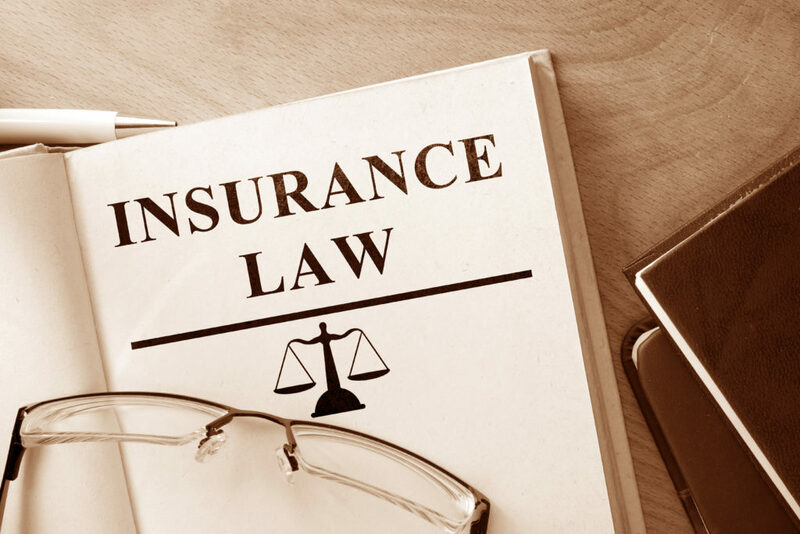 Keeping the files provided to you by healthcare providers and insurance companies will help your attorney to present an exceptional case to the insurance company. If your lawyer knows every medical care provider that you have seen, then they will be able to maximize compensation for your injuries and pain. Save those files and keep them stored in an appropriate place. If you have any additional questions or simply need assistance with insurance claims and issues contact Millin & Millin at (956) 631-5600. Our compassion, dedication, and personal attention will get you the RESULTS you deserve.